I acquired the most exquisite necklace at the Exclusively In west coast tour. A big fan of statement jewelry I couldn't help myself from trying on several items from various collections till I found the perfect piece. The collection that caught my eye was TAD, an authentically Indian label by Ameesha Dalima. After holding hostage numerous necklaces for about an hour, I finally settled on a long tassel necklace. A tiny bit of bling and a pop of pink between black beads and white pearls, I particularly loved the tassel detail for it alluded to traditional Indian design without overpowering the modern feel of the piece. 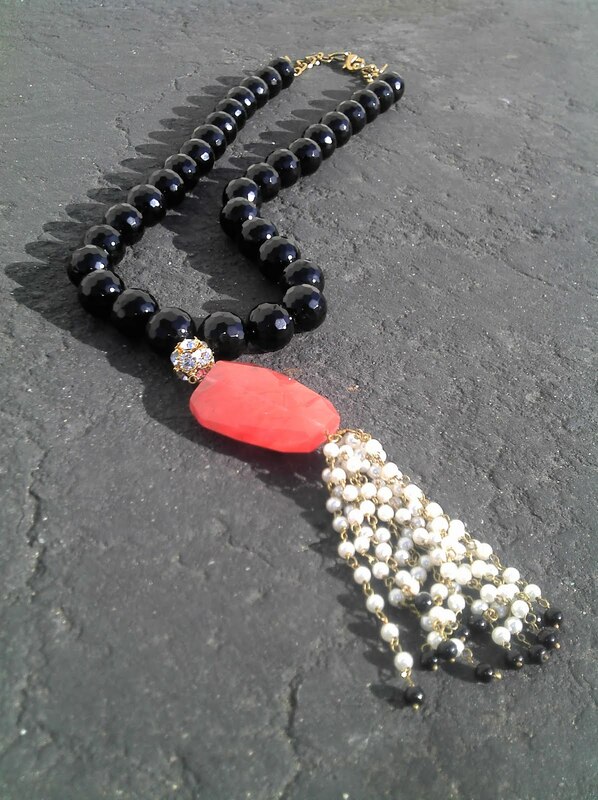 This necklace will definitely be a timeless piece in my jewelry anthology.